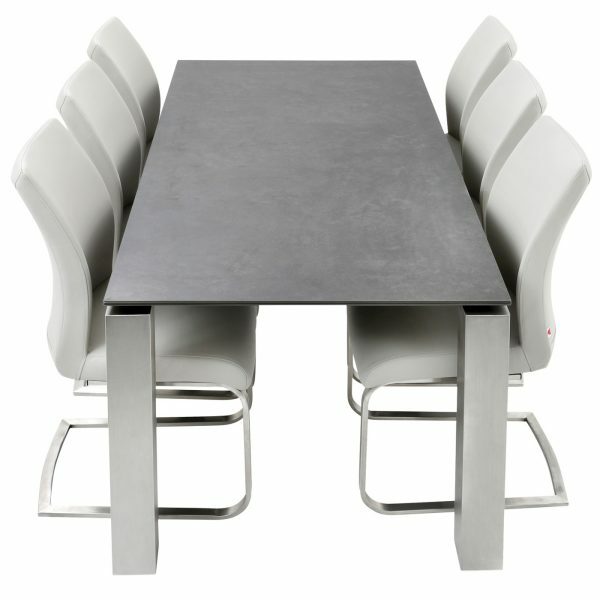 This Ceramic Top on Grey High Gloss almost floats on the Steel Legs. 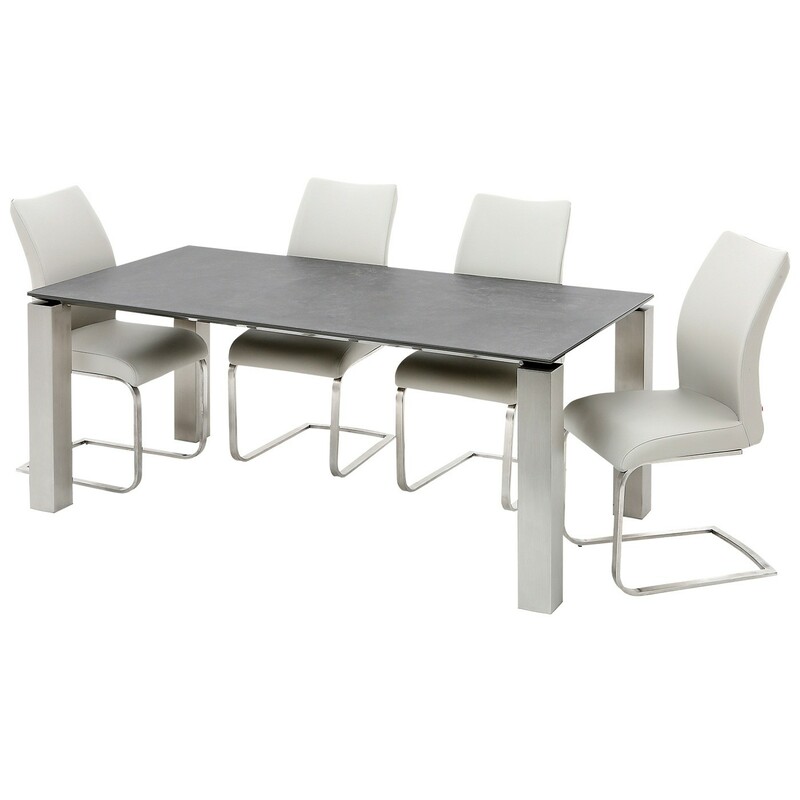 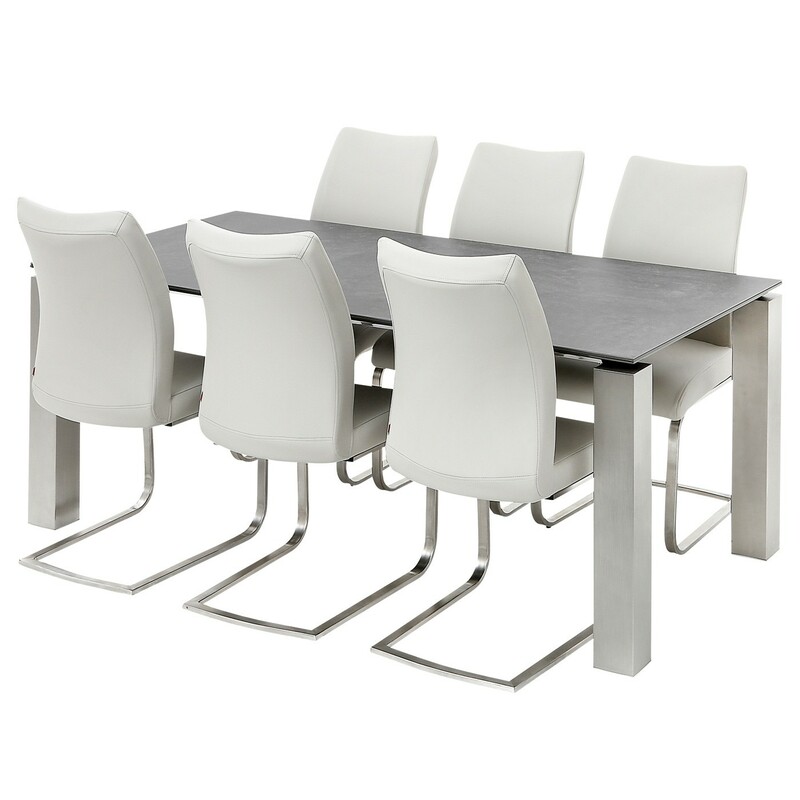 The classic Grey Ceramic is a real statement piece in any dining area and seats 6 in pure luxury. 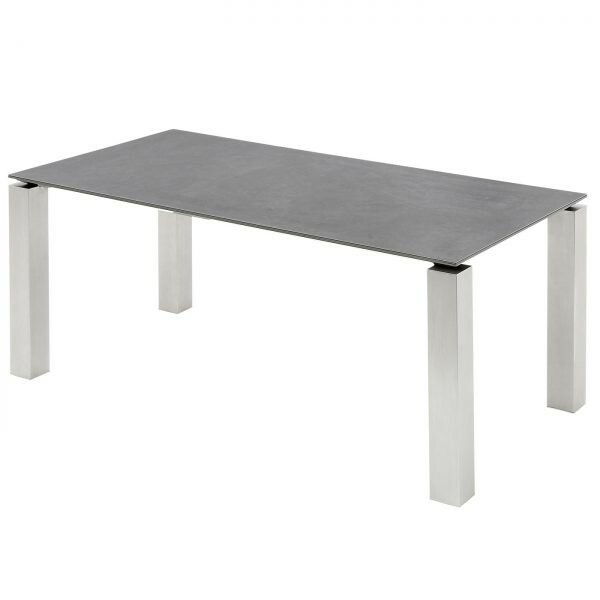 The contrast of Steel and Ceramic gives an elegantly clean finish to the Table, and this, combined with the naturally robust properties of Ceramic, make this table a serious addition to anyone’s dining room.